NLP - where does that fit in? 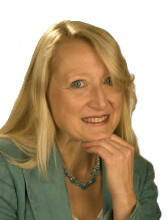 EFT and NLP - A Dynamite Combination! Whilst basic EFT is incredibly simple and it is possible within 15 minutes to learn enough to get started and apply effective emotional first aid, EFT's success with complex issues and chronic illnesses depends upon the art of delivery and practitioner experience. This is where EFT and NLP become a quite magical combination. EFT and NLP share some guiding principles and working with a skilled and experienced Level 3 or Master EFT practitioner who can incorporate these principles into EFT statements dramatically improves success rates, compared with simple, self-help, mechanical EFT using default EFT statements. Underpinning NLP is a presupposition that each one of us views the world around from his or her own perspective, ie from his or her personal hilltop viewpoint, which influences thought and behaviour. As we go through life the weight of our past experiences becomes a significant influence on that perspective. Where negative past experiences result in a negative present state, an NLP therapist will help the client refocus or ‘reframe' negatives such that they become less powerful, enabling the shift to a positive state. With EFT you tap away the trapped energy of a negative or traumatic past experience that is causing a disruption in the energy system and triggering current undesirable behaviour (e.g. panic attacks) or a negative (e.g. blocked or underachieving) state. By subtly and skilfully introducing NLP reframes into EFT statements whilst tapping you have a dynamite combination! A further important principle that originates from NLP and is applied to EFT is that of valuing each and every individual for the special person that he or she is. An NLP presupposition is that all behaviour has a positive intention; therefore all behaviour is useful in some context. Where a behaviour appears not to be serving us well in the present, it is usually possible to backtrack and understand its purpose in terms of where it originated, or what it is trying to protect us from. This understanding, combined with some tapping with artful EFT statements, often clears the problem behaviour in a way that acknowledges that actually we were only trying to do our best, but just went off track a little at some point. Milton Erickson, upon whose work much of NLP is founded, maintained the important principle that people have in their own natural history, background and experience the resources to overcome the problem for which they are seeking help. Both NLP and EFT empower people to access and use their own resources. Using these principles as the basis for EFT work is one of the things that makes my work as EFT practitioner so enjoyable - the techniques allow you to literally watch people grow as individuals. Self esteem and confidence simply blossom as old and outlived negative feelings and beliefs are cleared and time and again the name I chose for my website, ‘free2Bme', perfectly describes a much lighter feeling client. EFT and NLP make an ideal combination. EFT tends to be used to clear the energetic disruption caused by negative feelings and events; NLP is brilliant for instilling and anchoring the new positives that can fill the gap left after tapping away the negatives. Gary Craig, EFT's Californian founder, was himself an NLP Master Practitioner before conceiving of EFT. 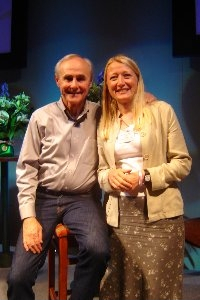 NLP, his spiritual perspective and his work with ‘A Course in Miracles' influence his EFT work. He strongly commends NLP to all EFTers. Probably the best known UK NLP practitioner, TV personality and author Paul McKenna integrates tapping (in a form which he calls TFT - a forerunner of EFT) into his own visibly very successful approach.